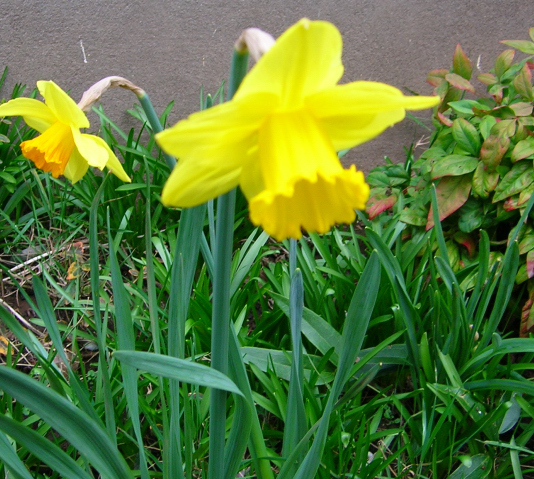 This is a daffodil. I’m rather fond of it, and there are a number coming up right now. Daffodils are pretty, and I’m pleased by that. Above, you will note forsythia. 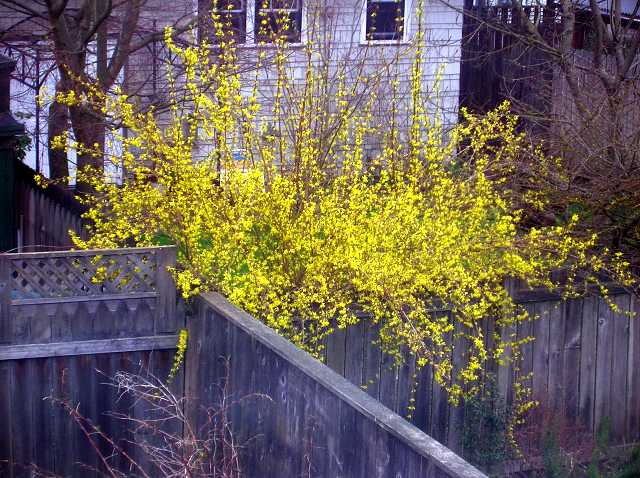 As previously mentioned, forsythia are exuberant in color, which I find distinctly lovely at this time of year. Go forsythia. 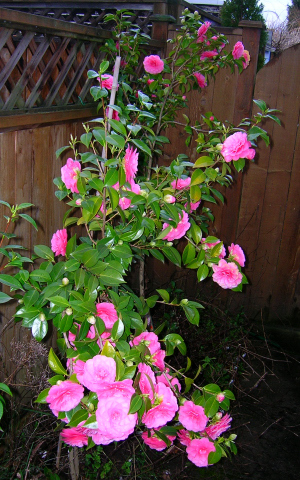 Our camellias are pink, which would not have been my first choice, but at this point, I’ll take flowers in almost any color. As you can (hopefully) tell by my captions, I remain tired and a bit on the punchy side. But it will get better.